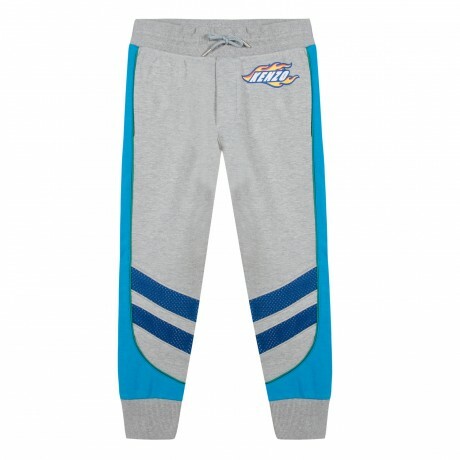 Boys grey classic shape joggers from Kenzo Kids, with the designer's colourful racing badge printed on the front. Made in a mid-weight cotton jersey, with blue mesh stripes on the cuffs sides. 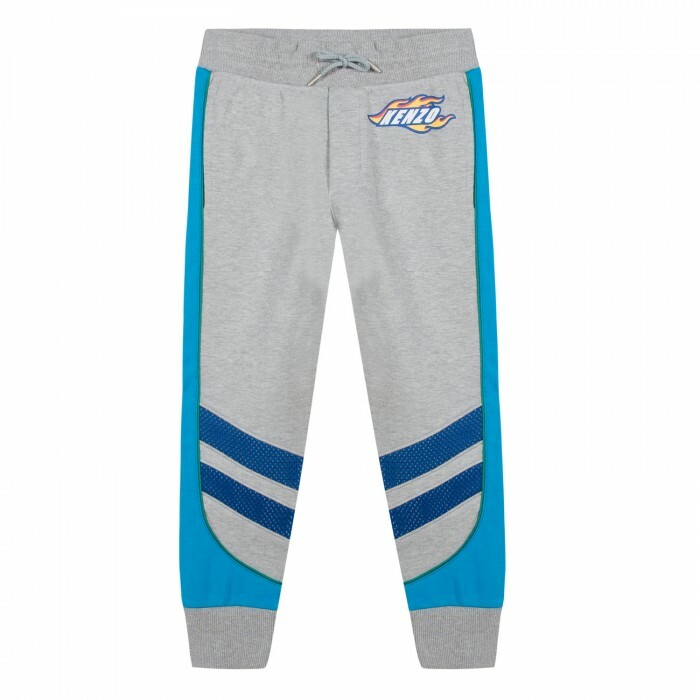 They have a drawstring waistband for an adjustable fit.